For an unforgettable Beijing trip, make sure you do these 3 activities while you are in this stunning city. An absolute legend, Great Wall of China is one of the wonders in this world and now you are in the same city with it. Quite exciting, isn’t it? So first thing to do while you are in Beijing is to see that marvel in the flesh. Great Wall of China is the longest world in the world as everybody knows and it was built to defend the Chinese Empire from the invasions of Mongolian and Manchu enemies. The wall is reportedly 21196 km but the extant part is only 8%. The best-known and most-preserved area of the Great Wall was built between the 14th and 17th centuries. Although it can’t be said that the Great Wall could prevent the invasions, it has been a remarkable symbol of the power of China since it was built. 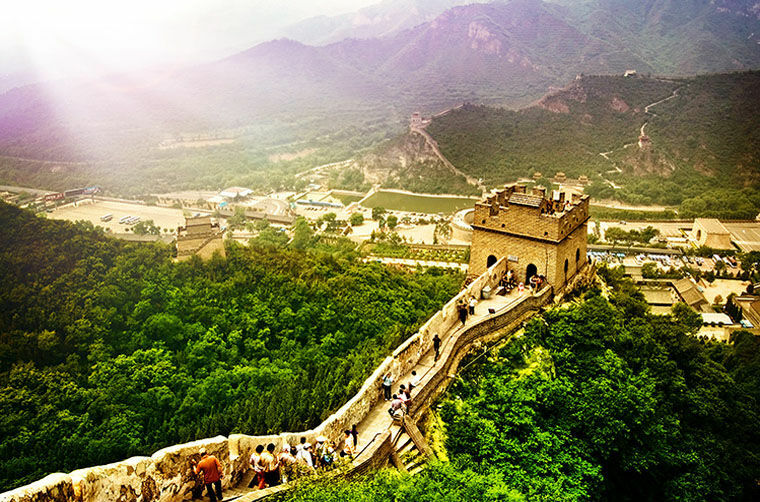 Being UNESCO’s World Heritage Site since 1987, Great Wall of China is one of those admirable places in the world that will make you adore the power of humankind and the nature. Shichahai is name of the area in China that consists of 3 lakes in the north-west of the Forbidden City. This historic scenic area will make a perfect getaway from tedious meetings or lectures while you are in Beijing. You can rent a rowboat (if you are visiting in summer) enjoy a float around North Lake Park or get impressed by the Buddhist monument that was built in 1271. If you are there in winter, you can enjoy ice-skating on the lakes! Around the lakes, there are also many bars and restaurants that you can have a great time tasting delicious Chinese food or drinking with your colleagues accompanied by a breath-taking view. The front lake is Qianhai, the rear one is Houhai and the west one is Xihai. The lakes are circled with old, large trees that adds up to the beauty of the scenery and there are many mansions and Buddhist or Taoist temples to visit. Hutongs are traditional Chinese narrow streets that are more common in Beijing. Although they dominated the city once, now they have become sparse in the name of modernization but never totally died out. You can just rent a bike stroll through the Hutongs if you are not into package tours. Many of the Hutongs that are located around Bell Tower and Drum Tower are hundreds years old and this area is the most popular area among the tourists. After the foundation of People’s Republic of China in 1949, many hutongs started to be replaced by new and modern roads or building. However, a number of still survive and they are under protection to reflect the cultural history of Beijing. If you are visiting Beijing try not to skip getting lost in Hutongs to have more information about the traditional life in Beijing. Note that even officials and celebrities have a house in Hutongs.